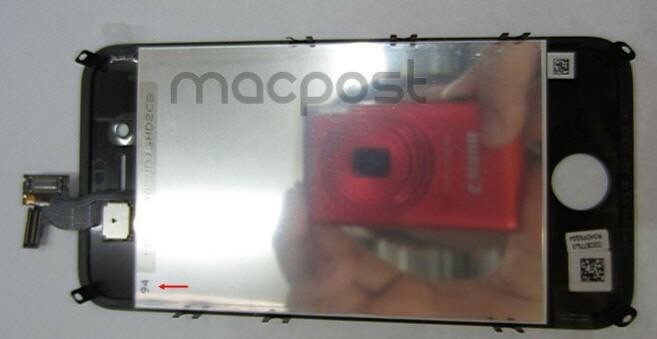 In addition, iPhone 5′s back design will be changed to a metal chassis instead of reinforced-glasses. Specifically, the publication has shot down rumors of a much larger display on the next iPhone, instead saying that iPhone 5 “will adopt a 3.5- to 3.7-inch panel with a design to allow the bezel of the panel to become thinner and make the screen look larger”. After today’s report of iPhone 5 getting metallic back instead of reinforced glass, we think that these parts are for cost-effective iPhone 4S and not for upgraded model. The LCD part is labeled as N94 “EVT1″ and dated March 3, 2011. As you may recall, 9to5Mac found references to the “N94″ in the iOS 5.0 SDK earlier this year, which we suspect could be an A5-powered next-generation iPhone. Engadget also spotted on the above images what looks like a FaceTime camera LED indicator. 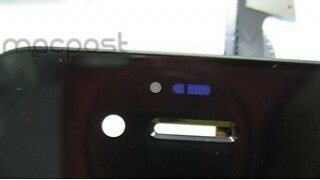 There is also the elusive N97 which Engadget says already reached DVT back in June. The N97 is a smaller device with an edge-to-edge screen, according to this Wall Street Journal story. It would make sense that this could be the “new” iPhone 4 with 8GB storage. On the other hand, it is also possible that N97 is the iPhone 5, because N97 may have a Sony lens – the same company rumored to be producing eight-megapixel sensors for the iPhone 5. Also, Apple’s software development kit for iOS devices says N94 has A5 and it would be actually cheaper for Apple to make a bunch of A5 processors rather than some A5 and A4. Plus, there is also N93, which could be a carrier variation. EVT stands for Engineering Verification Testing, a phase before DVT (Device Verification Testing) which is one step below the actual production. 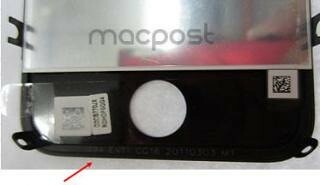 The N94 marking indicates a new hardware model and the March date of Engineering Verification Testing indicates that the next iPhone is right where you’d expect it to be right now, in early manufacturing. Other takeaways: The parts indicate the same bezel space (no edge-to-edge display design), “similar space between the screen and the home button and top ear piece”, and the regular home button. The last one pretty much dispels earlier rumors of an elongated home button that responds to touch and even stories that the next iPhone may lose the home button entirely.